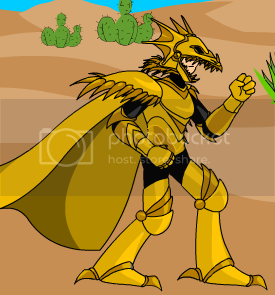 Also see DragonSlayer, Elite Dragon Slayer, and Golden Dragonslayer Eclipse. *Your Combat Defences increase by 0.6727*C each, rounded normally. ***On Monster Category "Undead"/"Were" AND "Dragon", they decrease by (C/3 + 2)% each, rounded normally. ***On Monster Category "Dragon", they decrease by (C/12 + 2)% each, rounded normally. ***On Monster Category "Undead"/"Were" AND "Dragonkin"/"Drakel", they decrease by (C/10 + 1)% each, rounded normally. ***On anything else, they increase by 1% each. Image from ssjgoku5 (skill tree). Update from Kalanyr (via algimantas2, Ash the Phantom, and Sora Aeragorn), sunchang, Lucario0708, and yorisan. Correction from wartan. Typo correction thanks to Dwelling Dragonlord. Hit 1: 100% Base & Random with 100% Stat and +0 BtH (weapon's element). Hit 2: 70% Base & Random, 100% Stat and +0 BtH (Light). Thanks to Alopex Lagopus, Cubal, narutorocks, Legasee, dillian628, alexefb, Rapido, ~Chaos~, Pwned4Life, CrazyDude2394 and The Drifter. New location from Baruman. Image from feral__john. Skill tree from Teuvi and Sora Aeragorn.